You are here: Home / Crafts / Send a Message in a Bottle to Say Thanks! Send a Message in a Bottle to Say Thanks! There are some friendships that are treasures! These are the friends that you don’t talk to every day or hear from every week, but you know that they are always there. These friends have seen you at your best and worst and yet they still like you! When you call them, you don’t waste time apologizing for being busy, you just jump right in and catch up on life. These are the friends that you want to celebrate Friendsgiving with! But sometimes there are too many miles between you to actually get together for the holidays. These are the friends that deserve a special message in a bottle to send across the miles to help celebrate the Thanksgiving season! Hobbies on a Budget received products or discounts for the purpose of this post. All opinions are my own. No monetary compensation was received. Affiliate links are included in this post which means if you make a purchase I will receive a payment. If you have watched any movies at all, you understand the idea of sending a message in a bottle. This is the plan to get rescued, secure help or find a way off the desert island. That’s why this idea is so perfect. Sometimes in life, we need to reach out to our friends to say thanks for all the things they mean to us! True friends are always ready to help out and rescue us when life gets crazy. Since many of my friends live in other states and even across the world, I decided to celebrate Friendsgiving with them and send them something special in the mail. I ordered some little plastic bottles and fun little surprises and started filling each bottle with something special to celebrate my friends. Sure, I could have just mailed them a card, but to celebrate Friendsgiving, I wanted something a little more unique. For those of you unfamiliar with the Friendsgiving holiday, it is the celebration of the Thanksgiving season with your friends! So, whether you are hosting a party for all your local friends, or celebrating across the miles, take the time to celebrate and be thankful for friends! You can fill your plastic bottles with anything that will help your friends know how much you are thankful for their friendship. I chose to jot a very simple thank you note and roll it up in the bottle. 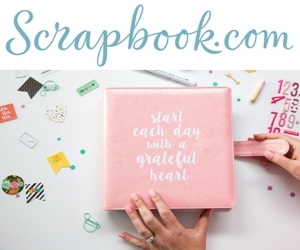 You can include stickers, confetti, crayons, small composition notebooks or emoji magnets. I even included a small fidget cube for my friend who is always needing something to keep her out of trouble. Basically, add anything that will fit and still not weigh very much since the bottles are made out of plastic and not designed for anything heavy. Hand them out or Mail them! I made several to hand out to my friends that I see over the Thanksgiving holidays, but the rest I mailed. I wanted to show my friends that live far off that I am thankful for their friendship over the years! These plastic bottles have a bottom that open up so you can fill it with your contents. Just remember to tape it close if you are planning to mail them so you don’t lose the contents. If you are using your own plastic bottles, just use a craft knife so you can cut the bottom. Use colored tissue paper to fill the bottles so the items don’t do a lot of rattling around in shipping. Did you know you can actually mail plastic bottles in the mail? I took my bottles to the post office to have them weighed and checked. Turns out that you can mail irregularly shaped items as long as they are under 13 ounces for only $3.00! Have you ever thought about sending a message in a bottle to say thanks for friendship? I’d love to see what you would put in your bottles! Looking for other ways to say thanks this Thanksgiving? Check out these tips to make thank you cards easy! This is such a terrific idea!